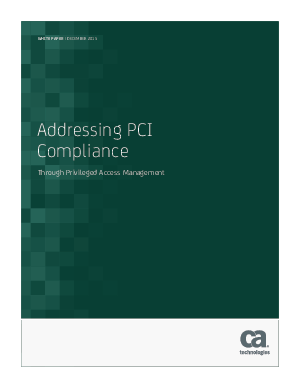 Privileged Access Management is an imperative to addressing PCI compliance. Yet its importance extends beyond just meeting PCI compliance requirements as it allows an organization to improve its overall security posture against today’s external and internal threats. CA Privileged Access Manager provides an effective way to implement privileged access management in support of PCI compliance and other security needs.